Entry level phone with dual gigabit ports. See our Vanilla Voice page for all our VoIP services. 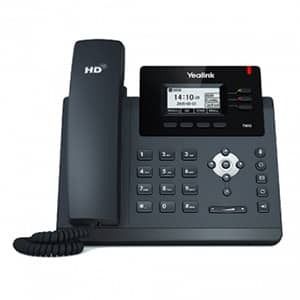 The T40G has Gigabit Ethernet for rapidly facilitating call handling, and its programmable keys help boast extensive productivity-enhancing features. This makes it the ideal Desktop phone for home or office use. You can download the datasheet here.